18 in. 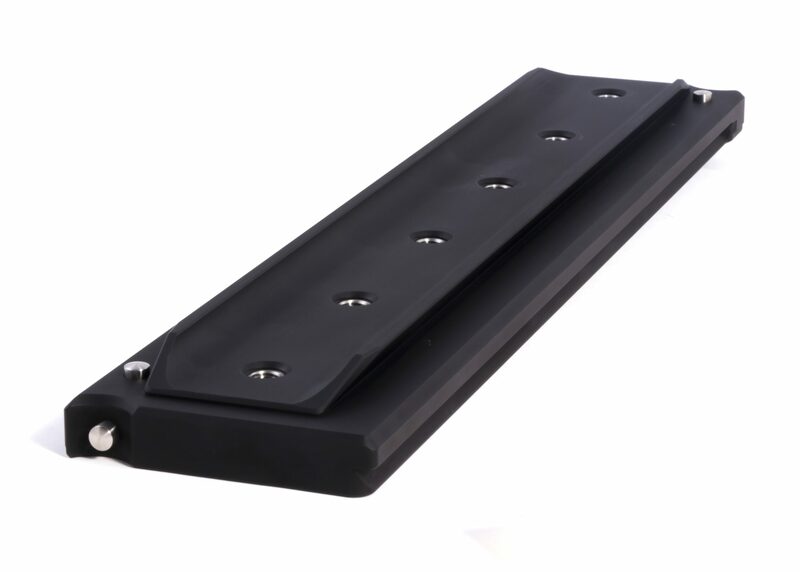 dual ended heavy-duty bottom camera support dovetail base plate. Plate has rear end push-button releases on both ends. Recommended for process trailers, hostess trays and other vibration-intense photography. 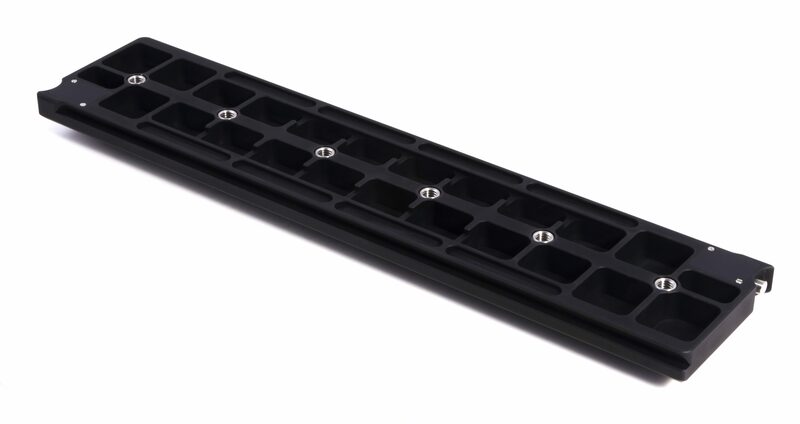 Baseplate has dovetails for both Arri camera support sliding top plate and O’connor Fluid-head sliding dovetail. Has 6 3/8-16 UNC QR plate mounting holes. Box dimensions: 1.2 x 4 x 18 in.